This was quite a bit more disturbing and disgusting than I had thought it would be from the start. The descriptions of the Beast Men and the torturous vivisections made by Doctor Moreau was really awful to read. 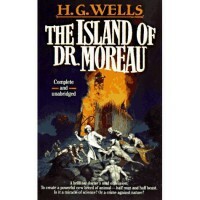 Liked the book as a whole, though not as much as other books of Wells', because I'm a bit weary of Robinsonades, having read way too many of them by now, and rarely finding them very interesting.